I am trying to make Lead Sheet more user and creator-friendly! So for a more complete list day by day, I recommend Pamela’s blog at http://www.bebopified.blogspot.com/ where she maintains a pretty extensive club/concert listing. And I’ll limit my recommendations for the week to those I consider “can’t miss” or unusual. Also listing this in chronological order! Friday (2/5), Jay Young’s Lyric Factory at the Dakota. Popular on electric and acoustic bass, Young reprises his tribute to Michael Jackson and Stevie Wonder, first performed at the Artists Quarter last fall. Jay can get downright funky and his music is never passive. Friday (2/5), The Five at the Artists Quarter. The five veterans are led by composer and drummer Kenny Horst, with Steve Kenny and Dave Karr on horns, Tom Lewis on bass and Mikkel Romstad on keys. They play together about once per year so don’t miss them this time around. Friday (2/5), Lucia Newell with the Laura Caviani Trio at Crave in the Galleria. If you have to hear music on a weak sound system in a crowded and often noisy bar/restaurant, at least let it be great music. And the food is good here too. Grab a later dinner and find a table right by the music after 10 pm and you can have a really good time. Saturday (2/6): Jay Young at the Dakota, The Five at the AQ for second nights. Saturday (2/6): Bill Frisell with Eyvind Kang and Rami AlHaj present “Baghdad/Seattle Suite” at the Walker’s McGuire Theater. Commissioned by the Walker, this promises to be one of the most compelling music events of the season. Guitar, viola and oud? Think Americana meets Middle East. I heard a preview and am eager for the rest. Accessible, elegant, exotic. Two shows so you can do something before or after. Saturday (2/6). Competing with Frisell, for me, the Ellen Lease/Pat Moriarty Quintet with special guest, saxophonist Michael Attias at Studio Z in St. Paul. One of the top purveyors of local experimental music, pianist Lease, saxman Moriarty, bassist Chris Bates and drummer Dave Stanoch lost Kelly Rossum’s services last summer but seek compensation via saxophonist Attias, a former area resident who once studied with Pat at Children’s Theater. Saturday (2/6), Keys Please at Janet Wallace Concert Hall on the Macalester Campus. One night per year, three area pianists (Paul Cantrell, Carei Thomas and Todd Harper) get together and jam on the keys, with a special guest, this year guitarist Bob Ockeden. Saturday (2/6), West Bank School of Music ensembles at the Riverview Wine Bar, featuring the Old House Quintet along with Laughing Sweaters and Caterwaul. Paul Renz organizes and directs some really fun music. Saturday (2/6), Bryan Nichols Trio (with James Buckely and Dave Seru) at the Dakota, Late Night series (11:30 pm). After hearing Bryan in several different contexts last week, I can honestly say there is never too much Bryan Nichols. Even at this late hour! Sunday (2/7), Charmin Michelle at Crave in the West End Shops (St. Louis Park) is a great accompaniment to Sunday Brunch! Sunday (2/7), the Zacc Harris Trio spins modern tales in their weekly slot at the Riverview Wine Bar. 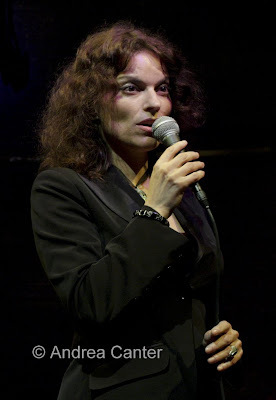 Monday (2/8), one of the finest voices of our time, Roberta Gambarini appears for just one night at the Dakota. Her latest, So in Love, topped many best of the year lists, including mine. Tuesday (2/9): I was told not to miss Bob James and Keiko Matsui, 4-handed piano at the Dakota. So I’m going. Tuesday (2/9), East Side at Hell’s Kitchen features a compelling assortment of local wizards, Reynold Philipsek, guitar; Clint Hoover, chromatic harmonica; Michael Bissonnette, percussion; Matt Senjem, bass. 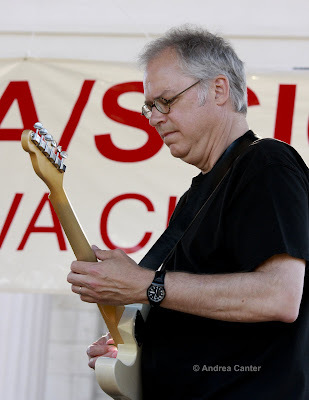 Wednesday (2/10), The Dan Musselman Quartet at the AQ is always a heady, jazzy experience. Young pianist Musselman has the chops of a veteran performer and composer, and his sideman are hardly off to the side—Brandon Wozniak on sax, Adam Linz on bass, Jay Epstein on drums. Wednesday (2/10), another night with Bob James and Keiko Matsui at the Dakota! Thursday (2/11), MMEA Night with the Shell Lake Faculty Ensemble and Dakota Combo at the Dakota. Organized by Shell Lake Jazz Camp with support from the Dakota Foundation for Jazz Education, this night was put together to entice area and visiting jazz band directors to the Dakota for a break from the MMEA Convention down the street. Faculty from Shell Lake (including Greg Keel, Michael Walk, Dave Schmalenberger and more) will perform the first two sets, with the high school wizkids of the Dakota Combo closing out the night. And if you heard them in December and thought they were pretty darn good, wait til you hear them now! Remember the usual suspects—JoAnn Funk and Jeff Brueske at the Lobby Bar of the St Paul Hotel (Fridays and Saturdays); Benny Weinbeck Trio at the A’mico Kitchen of the Chambers Hotel (Fridays and Saturdays); Fantastic Merlins at the Black Dog (Fantastic Fridays); Charmin Michelle and Denny Malmberg at Fireside Pizza (Mondays and Wednesdays); the Tuesday Night Band at the AQ (Tuesdays); Debbie Duncan and Mary Louise Knutson at Camp Bar (Tuesdays). Check listings at Hell’s Kitchen and Honey for some of your favorite vocalists every week. Bobby Peterson Memorial Piano Showcase at the AQ (2/12-13); Debbie Duncan and Anthony Cox’s Regional Quartet at the Dakota (2/12-13); Connie Evingson’s Beatles show at the Jungle Theater (2/14); Matt Slocum Trio CD Release at the AQ (2/19-20); Ahmad Jamal Trio at the Dakota (2/21-23); Rick Germanson at the AQ (2/26-27); Mary Louise Knutson Trio at the Bloomington Center for the Arts (2/28); Matt Wilson’s Arts and Crafts at the AQ (3/6); Hiromi Solo Piano at the Dakota (3/8-9). And note that February 19 & 26 will be the last performances by Maud Hixson and Rick Carlson at the Downtowner Woodfire Grill in St. Paul, which will discontinue live music at the end of the month. At least they are going out in style.